Bauer Supreme 1S Composite Hockey Stick - 2016 - Junior is rated 3.6 out of 5 by 5. Plain and simple, the Bauer Supreme 1S Composite Hockey Stick is designed for shooting bombs. This stick is designed for players who base their game on power, heavy slappers and powerful one-timers. The Supreme 1S features a brand new taper shape that is designed to amplify the catapult effect of the stick for more power. This allows it to store and release energy more efficiently than ever before. The taper starts even lower on the stick and is better integrated into the stiff lower section of the shaft, resulting in a slightly higher kickpoint than its predecessor, the TotalOne MX3. These characteristics combine to create a stick that easily and efficiently loads energy for powerful slapshots and one-timers. Bauer's Supreme Power Shaft is designed to work in coordination with the Maximum Power Kick to minimize deflection on shots, keeping them accurate and reducing energy lost. It also features squared corners to maximize the player's control of the stick when shooting. Monocomp Technology is Bauer's construction process that creates true, one-piece sticks that are light, balanced and durable by eliminating overlapping layers of composite, resin and foam. TeXtreme Carbon Fiber is used exclusively by Bauer in the hockey world. The material is 20 percent lighter than traditional CF while remaining extremely strong. Rated 5 out of 5 by Jessej from Bought this for my son, he's been shorting at his net with it and loves it!! He's very happy with it!! Rated 5 out of 5 by horse mad gal from Great stick in a junior size! I purchased an intermediate version of this stick for my son for his birthday and come to find out if we had cut it, the flex would have been way too high for his height and weight. I thought due to his growth spurt he was due to move up from a junior stick to an intermediate, but he just isn't ready yet. So we returned the intermediate and ordered the junior version of the stick. No cutting needed. Hopefully my son will not grow out of this stick too soon. He loves this stick. Rated 2 out of 5 by Storm5 from Not the quality for the price Lasted eight weeks. Got it for my 13 year old and this stick didn't hold up. Broke right on the heel of the stick. Thought by paying the extra money we would be getting a quality product. Have spent a lot less on sticks and have gotten a lot better performance and durability from them. Rated 1 out of 5 by ssjeni2 from Same thing as above Bought for my 10 year old and lasted just past warranty. Heel completely shredded. First stick out of 8. Bauer said too bad so sad. Rated 5 out of 5 by JBrown804 from Love the stick My 9U look loves the stick. Well worth it trust me a good buy. can this stick be customized? 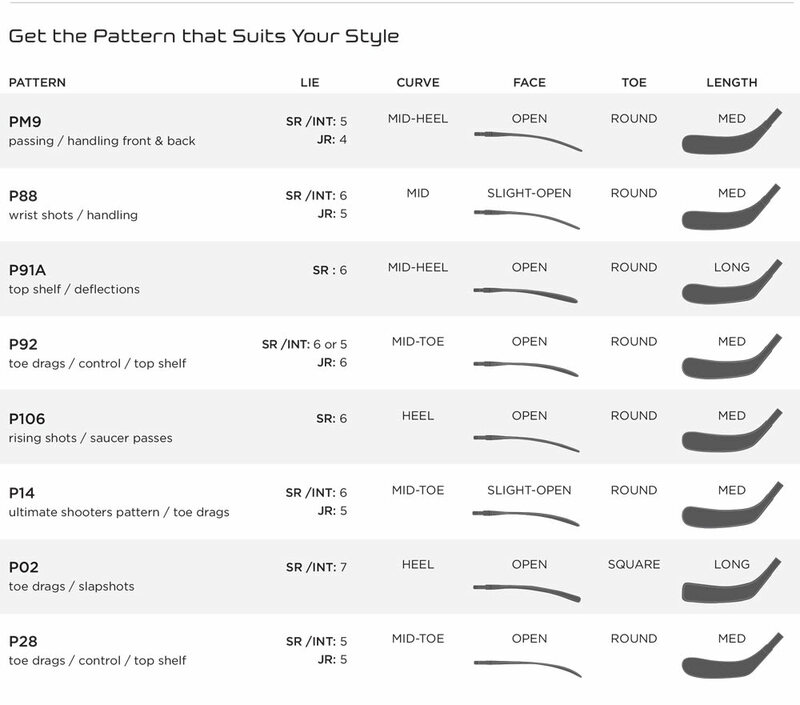 Unfortunately, we do not do stick customization through our website you would need to go directly through Bauer.com. how much does the junior bauer 1s weigh? The junior 1S stick weighs about 385 grams. How tall is the junior? The 1S jr stick is 52 inches.